For the past four weeks I’ve been taking the Yellow metro line from downtown Washington D.C. over the Potomac and into Virginia where I go to work in Crystal City. If the Yellow Line breaks I take the Green line. Up until this time, I’ve been driving to work for my entire life. 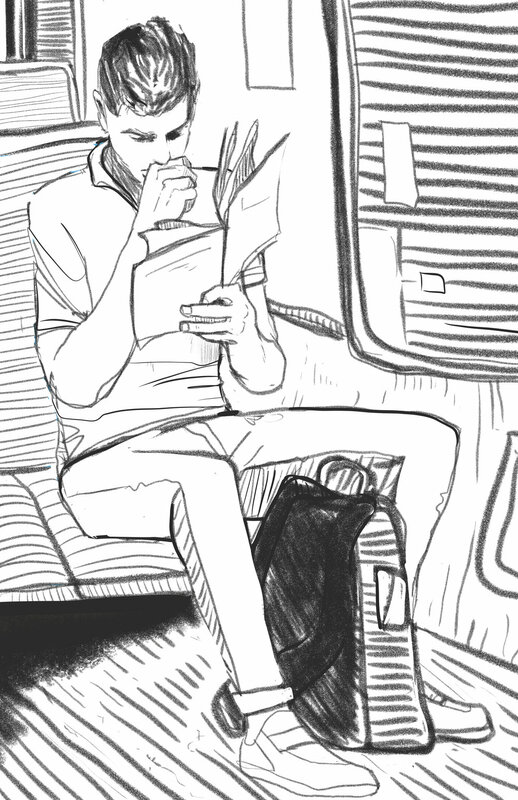 The peace of the subway hasn’t worn off yet - it’s a solid 20-30 minutes where I can sit and draw instead of worry about other cars or traffic or merging. 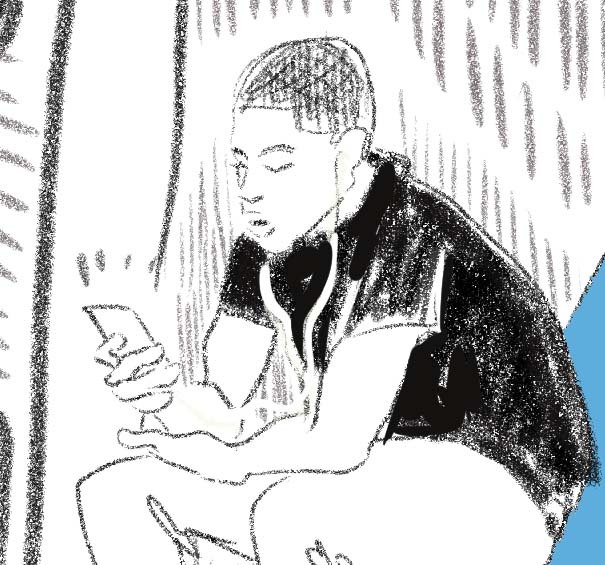 For people riding the metro, the only thing that stands out more than an artist drawing on an iPad are people playing the new Nintendo Switch. 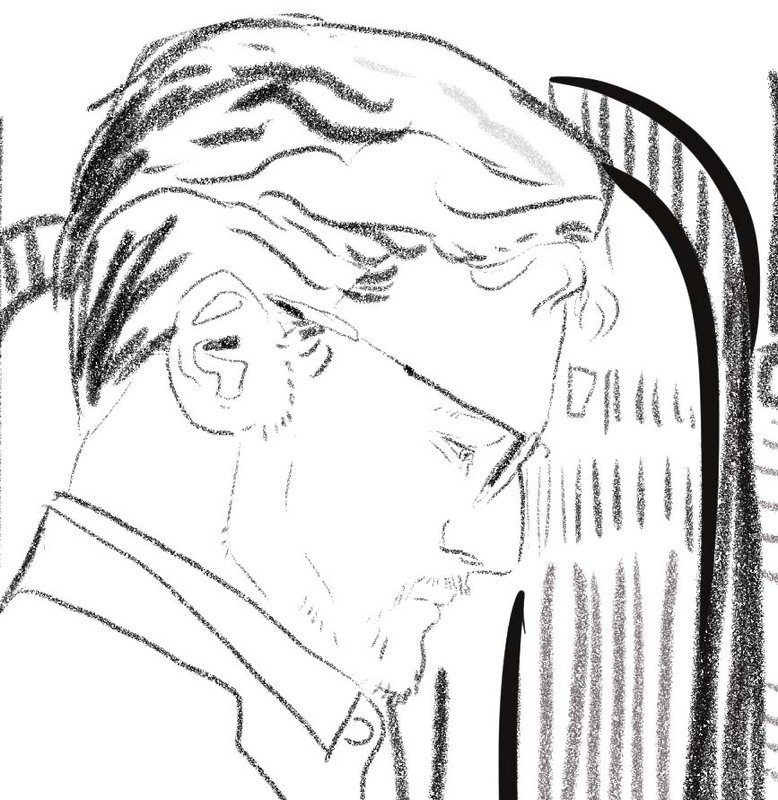 It would be impossible for me to make drawings on a giant iPad in a subway - people are just too fascinated and I am extremely shy while making art, so what I do is draw just a couple core elements of the people I see for a few minutes. 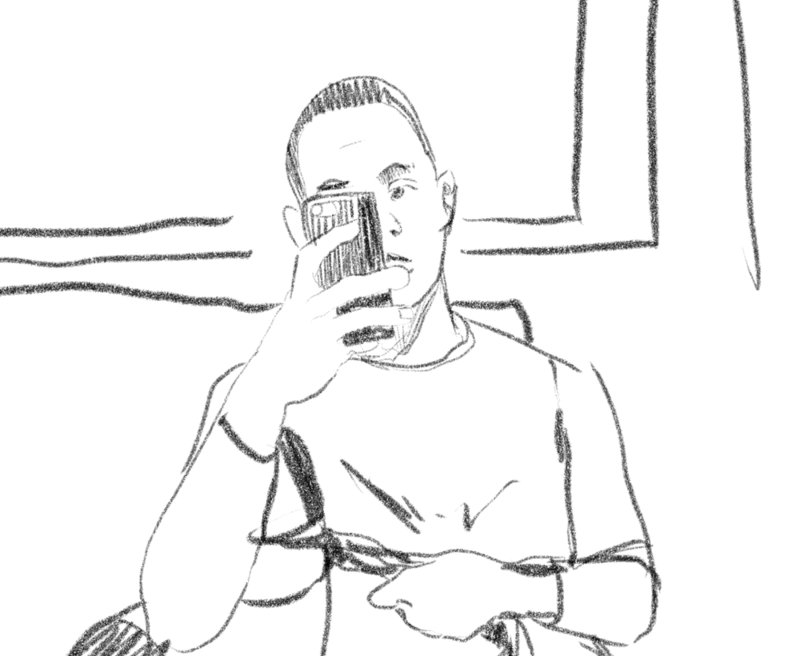 From there I take the iPad home and finish the drawing there. I am producing a lot of Tilted Sun while riding the metro as well. 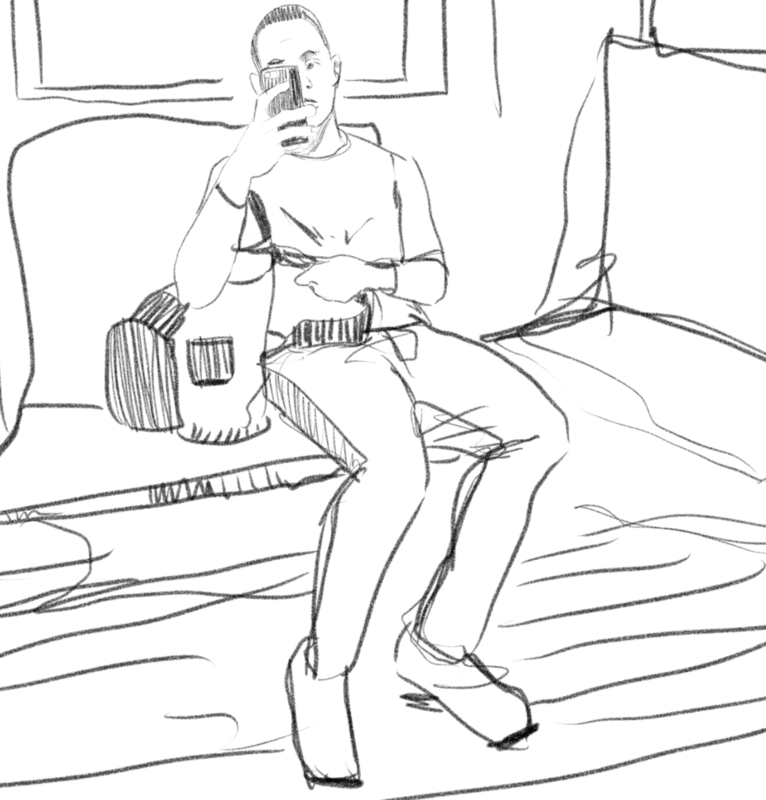 Making art while traveling is hit or miss - the airplane/train is either bumpy and it’s impossible, or it’s smooth sailing. All art is this way. 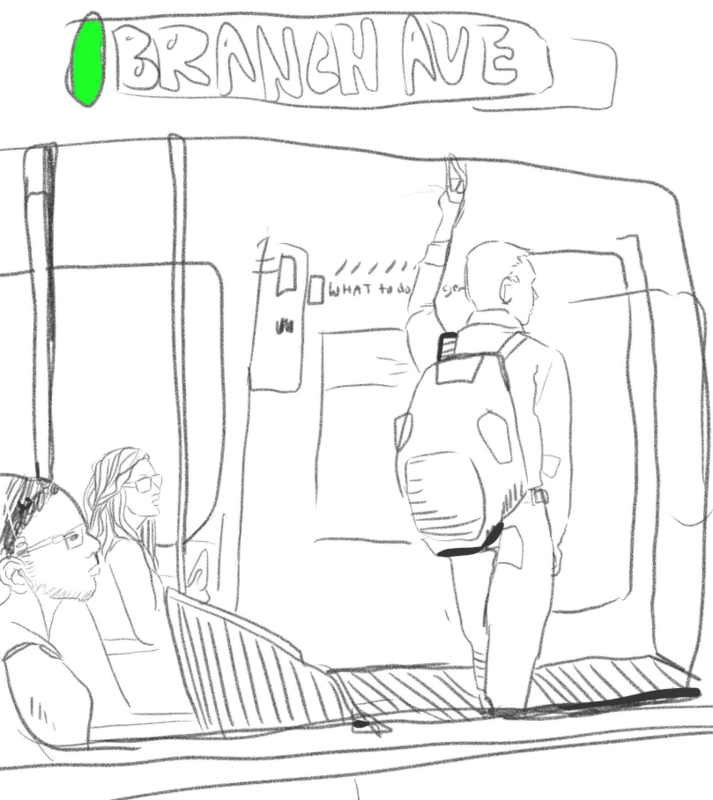 Painting in plein air brings challenges like wind and dirt and bugs, and the subway is the same. You just never know if you’ll get a seat or if conditions will be right, which is half the fun. Fortunately, Washington DC’s subways are relatively smooth and everyone keeps to themselves for the most part. Everyone seems to be on their phone despite the lack of service - Bubble Burster and Bejeweled are the great equalizers of our time. The DC metro doesn’t like it if you eat or drink on the train, and riding the yellow line near the Pentagon is the most orderly, composed ride on a subway you could ever imagine. All of these drawings are made in Clip Studio Paint on an iPad Pro. Basic tools, nothing fancy. Someday I’ll make my own brushes and pencils but until that day I’m thrilled with the default tools. Defaults are something that Clip Studio Paint does well with - as an artist/user I don’t have to think, I don’t have to triangulate my settings into the blue oblivion. I can just sit down and create. As much as I love tinkering, I love production even more. Most artists have to love both to a certain extent but I’d say most would choose creation over tool selection. The places where I’ve lived before the East Coast are’t so hot on trains - Texas and Colorado are more about cars and trucks for people, and trains are reserved for commerce and big cargo. So I’m still in love with the metro here in DC. It really is so amazing that there is this machine that will just spirit you away to another part of town. 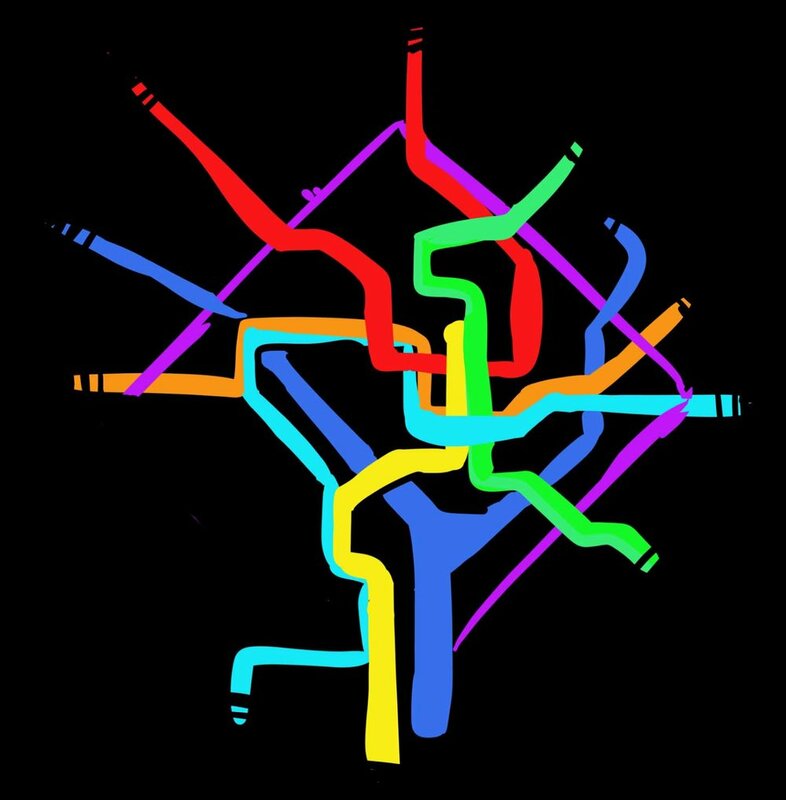 To explain the DC Metro system to anyone not familiar, here is a map I drew, where the Yellow Line crosses the Potomac into Virginia. I forgot the silver line but it runs between the orange and blue lines.